Which kind of natural material is your favorite, wood or bamboo? If you prefer the former, let’s go on checking Substrata Tabletop iPad 2 wooden case. 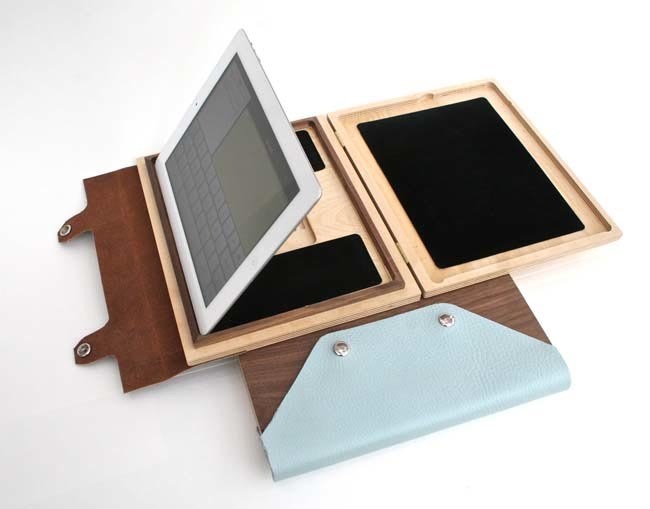 As we can see from the images, Substrata Tabletop is a folio styled iPad 2 case. 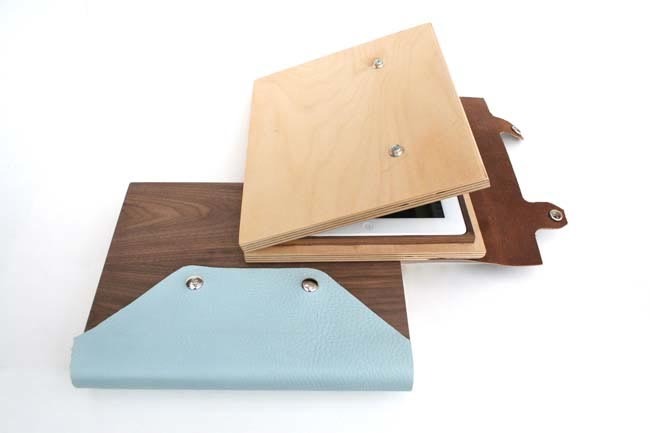 The whole protective case is made from solid birch plywood, and features a leather closure recycled from local scrap, plus internal microsuede liner in order to effectively protect your iPad 2 from bumps and scratches. And same as official Smart Cover, its wooden lid can control iPad 2 screen on or off when open or closed. 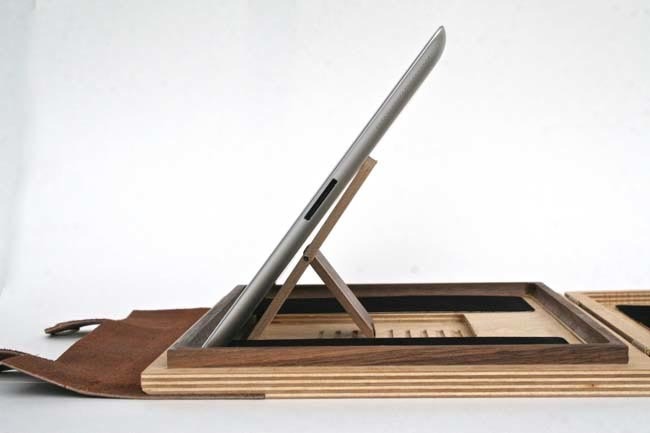 Apart from that, the iPad 2 wooden case also features a build-in iPad 2 stand that supports landscape viewing mode in 6 different angles for your typing, reading, and other applications. Substrata Tabletop iPad 2 wooden case is priced at $85 USD. 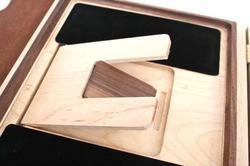 If you’re interested, jump to Substrata official site for more details. 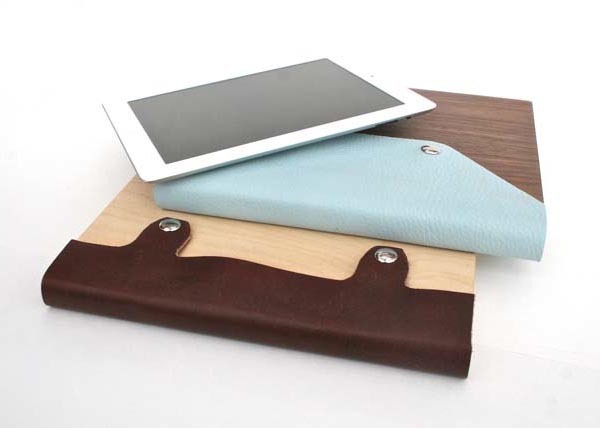 Additionally, if you like bamboo material, you might like to check Grove’s bamboo iPad 2 case.